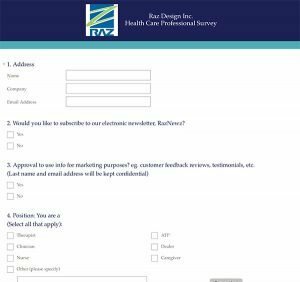 Raz Client and Health Care Provider Surveys | Mobile Shower Commode Chairs | Raz Design Inc.
Have a few minutes to spare? 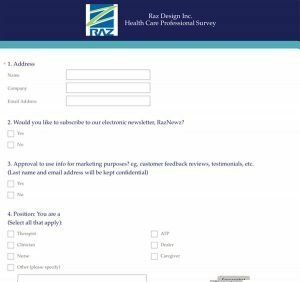 We are looking for customer feedback, click to take our Raz Client Survey. We promise it’ll be worth it. We are looking for feedback from health care professionals, click to take our Health Care Provider Survey.